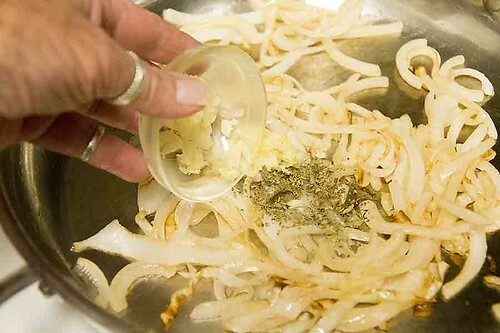 In a large skillet cook the onion until it is starting to caramelize, then add the oregano and garlic. and the crema. Coat the mixture with crema and check for salt, add 1/2 teaspoon if needed. Scoop the taco filling into warm tortillas and top with the queso. 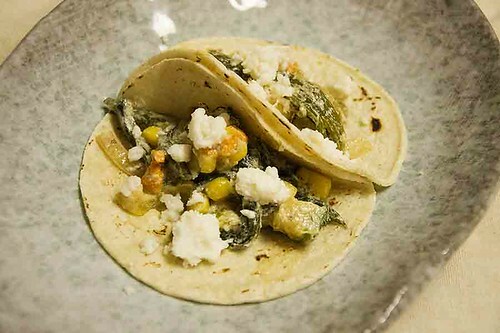 These will soon become one of your favorite tacos. 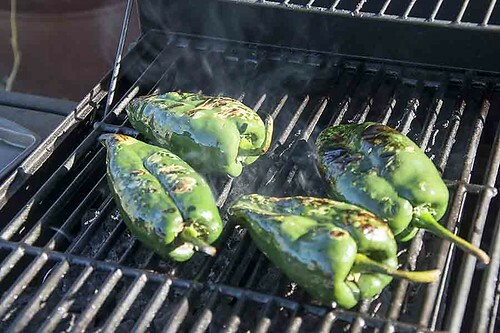 Make the rajas: Roast the poblanos on an open flame or on a baking sheet 4 inches below a very hot broiler, turning regularly until the skin is evenly blistered and blackened, about 5 minutes for an open flame, about 10 minutes for the broiler. Be careful not to char the flesh-only the skin. Cover with a kitchen towel and let stand for 5 minutes. Rub off the blackened skin, then pull or cut out the stems and the seed pods. 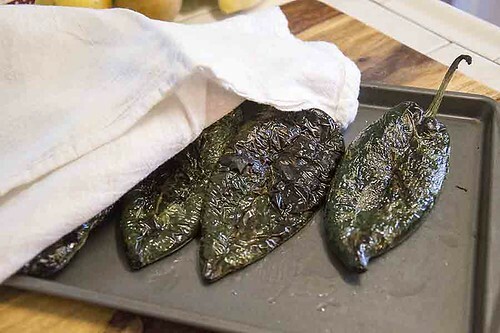 Tear the chiles open and quickly rinse to remove stray seeds and most bits of skin. Cut into 1/4-inch-wide strips about 2 inches long. 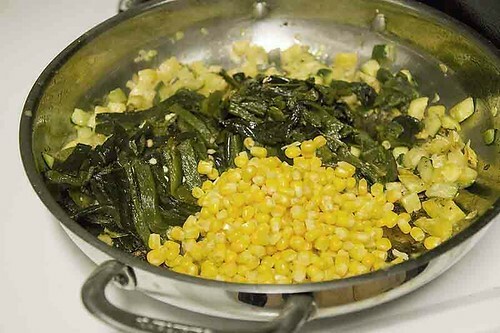 In a very large (12-inch) skillet, heat the oil over medium-high. 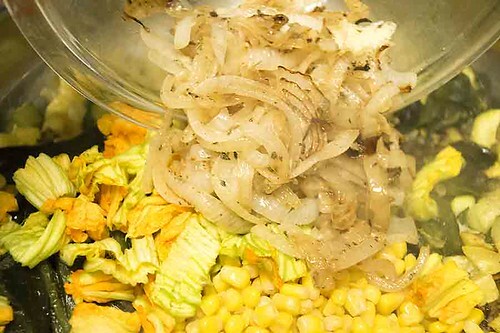 When hot, add the onion and cook, stirring regularly until the onion is richly browned but still a little crunchy, about 7 minutes. Stir in the garlic and oregano. After a minute or so, when the garlic is fragrant, remove from heat and set aside. For the taco filling: In a very large (12-inch) skillet set over medium-high, heat the oil. 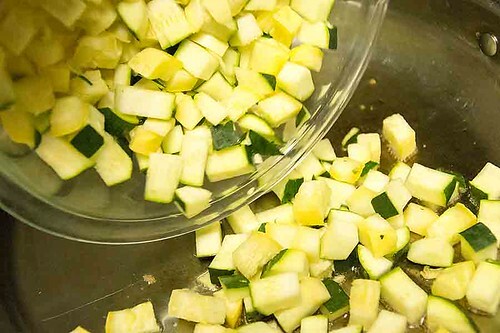 When really hot, add the squash, stirring and turning the pieces frequently, until they are richly browned all over. 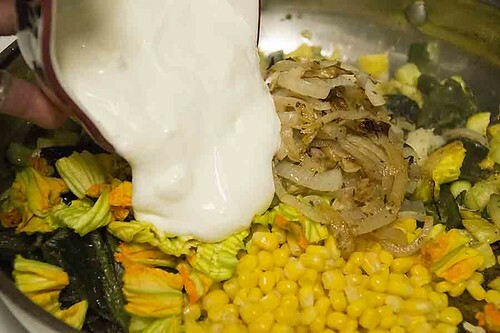 Add the poblano strips, corn, squash blossoms and caramelized onions, then scoop in the crema. When the cream has thickened enough to coat the mixture nicely-that takes only a couple of minutes over the medium-high heat, though it needs to be stirred nearly constantly-taste the mixture and season it with salt, usually about 1/2 teaspoon. When everything comes to a simmer over medium heat, add a couple more tablespoons of crema if I think the mixture needs it. 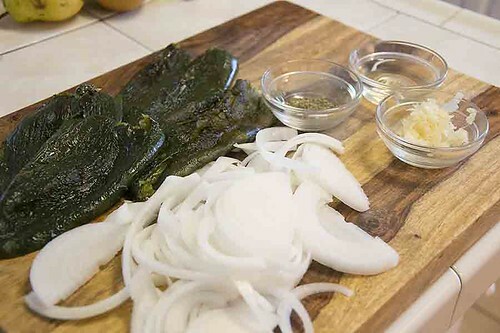 Taste the dish for salt and scoop into warm tortillas. 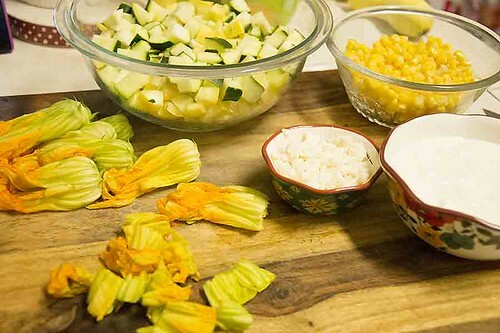 Though it’s not absolutely necessary, the mixture is delicious sprinkled with queso fresco.